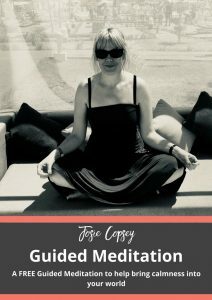 Bring a sense of calmness into your world with this FREE Guided Meditation, where you'll learn how to keep yourself grounded, protect your energy and gain the answers you seek in a positive and inspirational way. As someone who always used to live in 'her head' and operate at the speed of light every single day, I was on the fast track route to burnout. Meditation helped me to see things differently and gain insight, perspective and a sense of calmness in a busy world.